On 28 February 1 RWF deployed to Bosnia as part of the UN force. The enclave of Gorazde was the most dangerous and exposed garrison and was surrounded by elements of three Serb corps. The situation deteriorated in May when the Bosnian Serb Army commander decided to resolve the Eastern Enclave issue once and for all. On the 28th three A Company OPs were surrounded by a large force of heavily armed Serbs. With a restrictive mandate and Rules of Engagement, the officer and 31 men manning the OPs were taken hostage. Once situation reports were received, the remaining Gorazde Force OPs were successfully evacuated in a three our fighting withdrawal. Following high-level negotiations the last hostages were released on 14 June. Sassoon (b. 1886) was commissioned into the RWF in 1915 and joined 2 RWF in France. He quickly earned a reputation for aggressive patrolling. 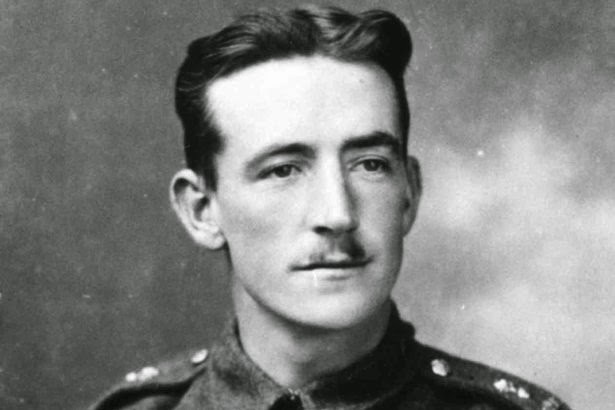 He won an MC for his gallantry during a raid on enemy trenches when he remained under fire for over an hour bringing in casualties. He recorded his wartime experiences in Memoirs of an Infantry Officer, which is never out of print. He died in 1961. Death of Captain Stephen Healey, Recce Platoon Commander, the 1st Battalion, the Royal Welsh (The Royal Welch Fusiliers). 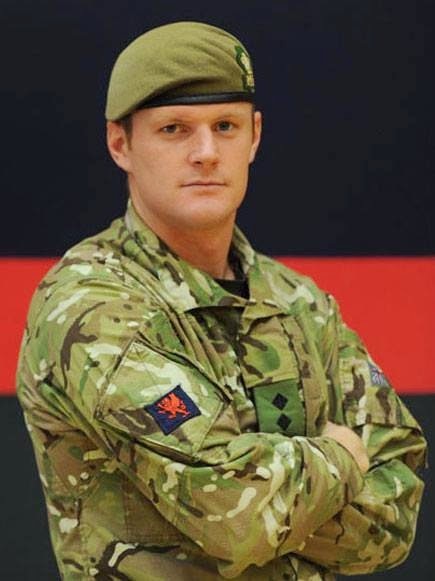 Captain Stephen Healey commanded the Combined Force Burma reconnaissance platoon and, while conducting a vehicle patrol in the north of the Nahr-e Saraj district of Helmand province, his vehicle struck an improvised explosive device. He was given immediate first aid before being flown to the military hospital at Camp Bastion where, sadly, his death was confirmed. Captain Stephen Healey was born on 19 September 1982 in Cardiff. On leaving school he became a semi-professional footballer; playing for a number of clubs in the South Wales area including an apprenticeship with Swansea City. He continued to play whilst completing a degree in Sports Science at Swansea University. He joined the Army in 2007 and was commissioned into the 1st Battalion The Royal Welsh in 2008. Steve epitomises everything good about the Royal Welsh and the Army, fun, up for anything and fiercely loyal to his men and battalion. He was a genius at friendship that reached all levels, loved as much on the football pitch as in work. He was adored by his men for his assured yet unassuming and humble nature. Steve was ultra competitive and unfairly fit making him a brilliant sportsman and competitor. He had the same steely determination in work and was always the ultimate professional. He was the talisman of the officers of the Royal Welsh both socially and professionally and always a ‘go to man’ for me. Ever reliable and honest, I cannot imagine a better officer and friend. Steve was a true winner of a bloke in every sense of the word. He will be sorely missed by all the battalion and his best mate. Quite simply he was a giant of a man with an even bigger heart. A true leader of men that inspired and made an impression on all that he met. He was the ultimate professional and set the example to all that worked for and with him. Steve was a charming bloke and the social hub of the Officer’s mess. He was also a humble man who would often shy away from the praise and the limelight, even when he clearly deserved it. He embodied the true spirit of a Royal Welshman and lived up to everything a Fusilier should be. He was the model of what an Officer should be, all can learn from the example he set. It is nothing but an honour to say that I have served alongside him and that I could. 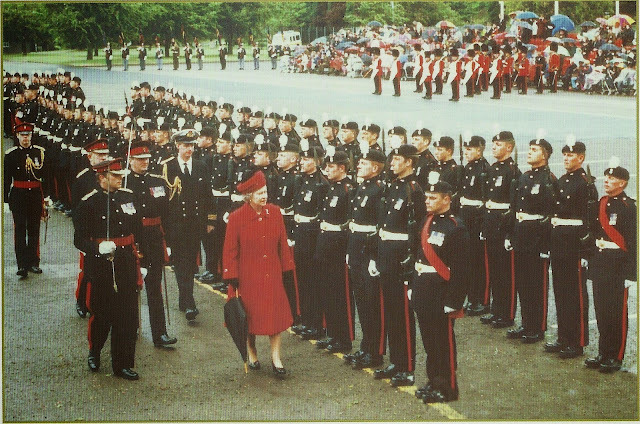 The Queen presented new Colours to the 1st Battalion at Beachley Barracks, Chepstow. Following a dress rehearsal on the previous day in bright sunshine the presentation itself took place in appalling conditions. 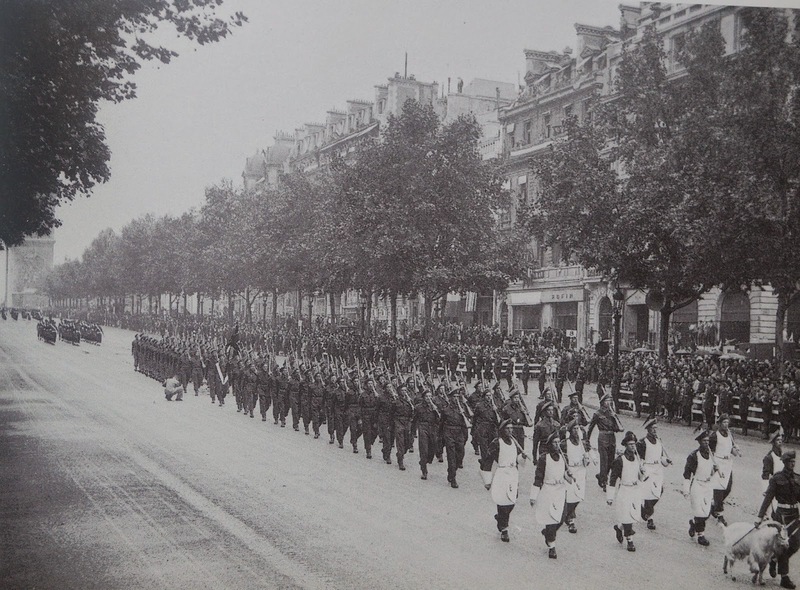 The parade included detachments from 3 RWF, the Cadet battalions and the Comrades. The Queen was received in the Sergeants’ Mess and later had lunch with members of the Regiment and their guests. Instructions were received that he wished to review in London the 23rd, which was in Berwick. It left in March and proceeded on foot to London. 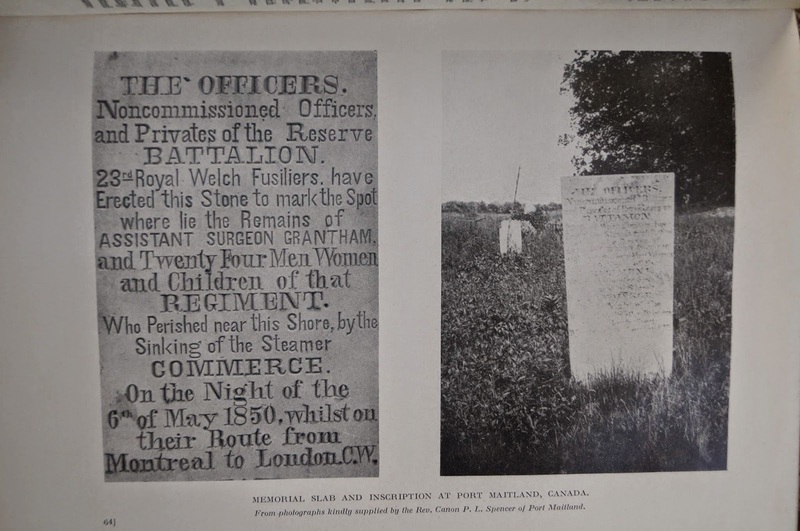 According to the London Journal ‘ ... at the Review before the King and Queen ... [the] Regiment of Welch Fusiliers made so fine an appearance and performed all their exercise with so much Regularity, Exactness and Dexterity, as was highly applauded ... and approved by his Majesty …’. 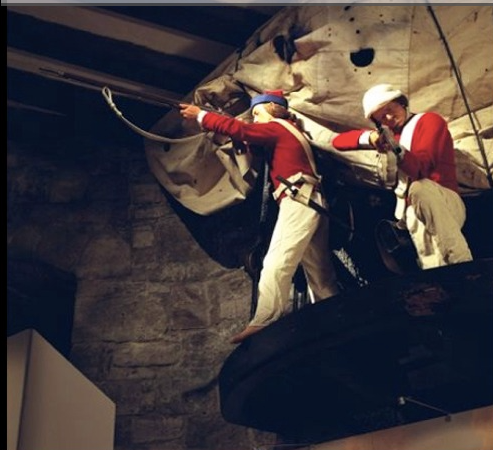 A letter, dated this day, from Queen Mary, ordered certain regiments, including the 23rd, to exchange their pikes for muskets and to proceed to Portsmouth to act as marines. The Regiment was divided between twelve men-of-war, a company to each. At Festubert, France, CSM Barter, with eight men, seized and held 500 yards of trench and captured over 100 prisoners. ‘He acted with the utmost speed and with confident leadership, the men following him, catching some of his reckless enthusiasm as he bombed his way along the trench ... He forced 3 officers and 102 men to surrender to his swift and fearless attack, and also found and cut no less than eleven mine leads ...’. He was awarded a VC. CSM (later Capt.) Frederick Barter, V.C., M.C. Frederick Barter was born at 60 Daniel Street in Cathays, Cardiff, on17 January, 1891, the son of Mr. and Mrs. Samuel Barter. Educated at the Crwys Road Board School, Cardiff he joined the Royal Welsh Fusiliers on 4 December, 1908, as No. 3908 and later transferred to the Special Reserve of the RWF. Some of the occupations held by Frederick were with the Cardiff Wagon works as a Collier and as a Porter with the Great Western Railway. Prior to the outbreak of World War One he was working as a stove repairer for the Cardiff Gaslight and Coke Company, and when war was declared he soon found himself once more with the colours, this time as a Special Reservist with the first Battalion RWF. He was a Company Sergeant Major in 1914 and served in France 1914-15. He became a 2nd Lieutenant on 26th August 1915. between 10 May 1916 and 29 December 1916 he was at the Western Command Bombing School as a Temporary Lieutenant. and after this was in France between December 1916 and February 1917. He was then transferred to the Indian Army in March 1917 and served with the Queen Alexandra's Own Gurkha Rifles, North-West Frontier Province, at Kohat as a Brigade Bombing Officer. He was then in Palestine with the 2/3rd QAOGR wth the rank of acting Captain. On 16 May 1918 he relinquished his current commission in favour of a permanent Captaincy with the Indian Army but was invalided back to Britain with fever in 1919 and subsequently retired with the rank of Captain in 1922. During the Second World War Barter served as a Major in command of the 4/7th Company of the 4th Middlesex Home Guard. 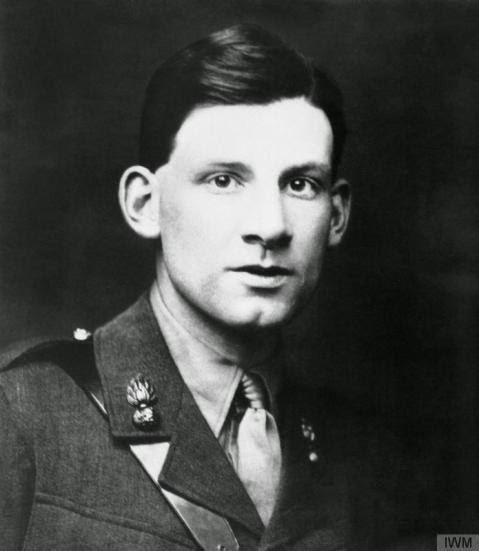 His Victoria Cross was awarded after, on 16 May, 1915, for an act of bravery at Festubert, in France. His VC citation in the London Gazette read as follows: "For most conspicuous bravery and marked ability at Festubert on 16th May, 1915. When in the first line of German trenches, company sergeant Major Barter called for volunteers to enable him to extend our line and with eight men who responded he attacked the German position with bombs, capturing 3 German officers and 102 men along with 500 yards of their trenches. He subsequently found and and cut eleven of the enemy's mine leads, situated about 20 yards apart." Capt. Barter was decorated at Buckingham Palace by King George V on 12 July, 1915. "For conspicuous gallantry and devotion to duty when ordered to make a flank attack.He led his two platoons up a precipitous hill, and turned the enemy's flank. Then, placing one platoon with two Lewis guns to command the enemy's line of retreat, he gallantly led an attack with the other platoon from the rear and flank, killing or capturing practically the whole garrison." Curiously, at El Kefr, Palestine, for a herioc act of gallantry on 10 April, 1918, Rifleman Karanbahadur Rana was awarded the Victoria Cross for saving Barter's life. He was married on 13 May1925 to a divorcee, Catherine Mary Theresa Mclaren (nee Wright) of the Heathfield Hotel, Waldron, who died in 1944. They had no children. In 1928 he joined the AEC as a labour manager located at Southall, Middlesex, after trying several business ventures. Barter died at St. Annes Nursing Home, Canford Cliffe, Poole, Dorset, on 15 May 1953 and was cremated at Bournemouth Crematorium. In his honour, two places at Wrexham bear his name. One is known as Barter Road and the other at Hightown, Wrexham, is called Barter Court. 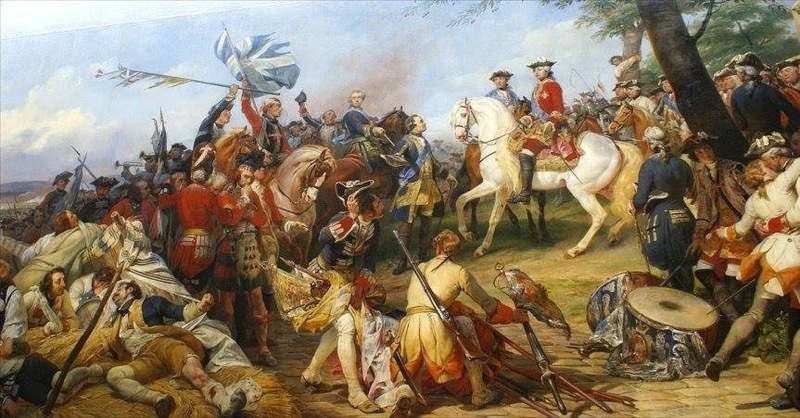 Battle of Dettingen, Germany, 1743. 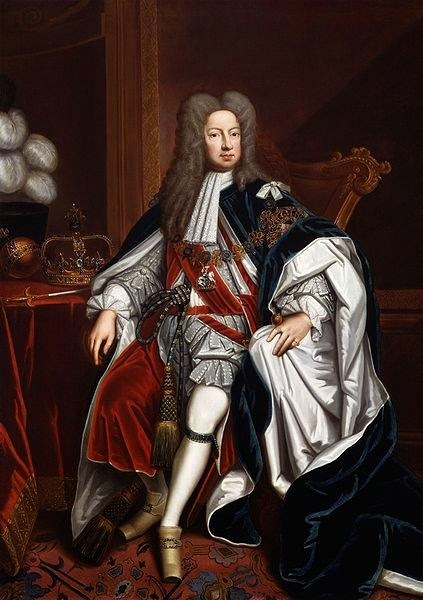 Dettingen was the last battle in which a King of England (George II) personally led his army. It was a glorious victory for the allies, which ended in the rout of the French. 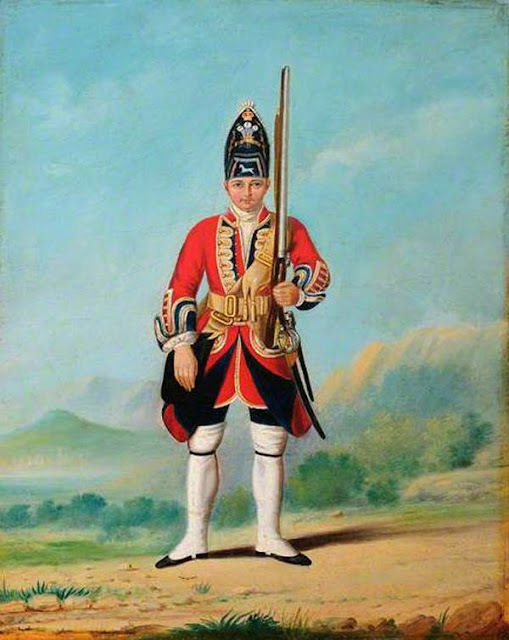 The 23rd ‘sustain’d little loss, tho’ much engaged’ and only one officer lost his life, Colonel Newsham Peers (Portrait attached), the Colonel of the Regiment. He was the last Colonel to lead the Regiment personally in battle. In April 1940 Independent Companies were formed from TA volunteers. 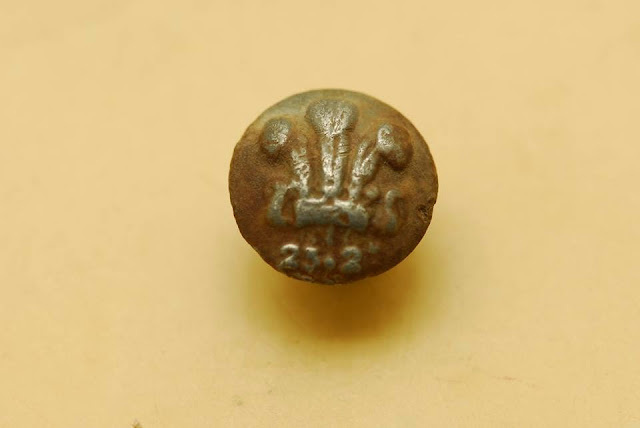 No 2 Company was formed from men of 53rd (Welsh) Division, including 72 from the RWF in 158 Brigade. 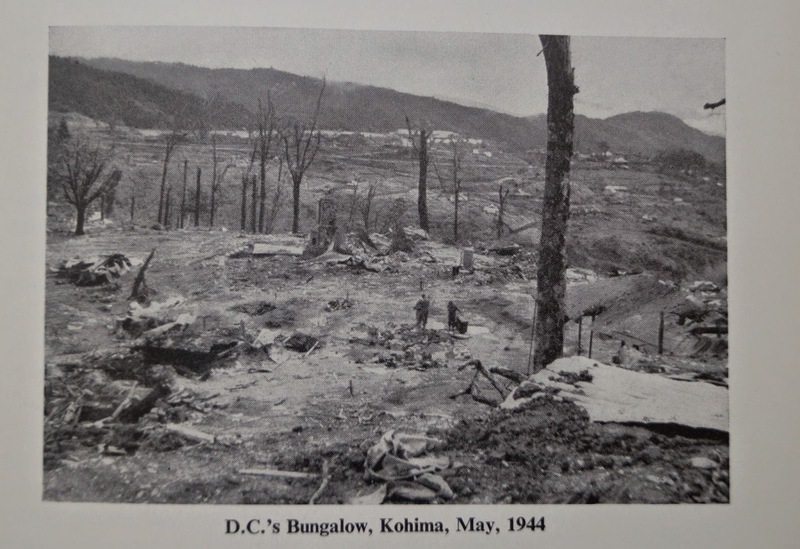 Volunteers from 8th, 9th and 10th Bns raised a platoon for No 9 Company. 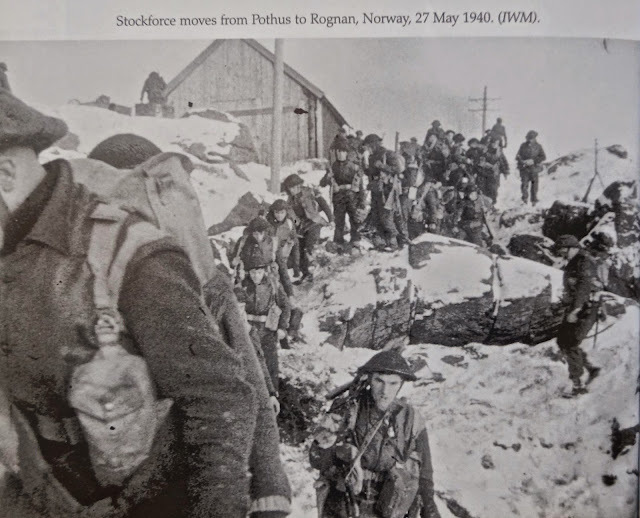 On 14 May they landed south of Narvik and engaged in heavy skirmishing with the Germans until the end of the month when they returned to Scotland. 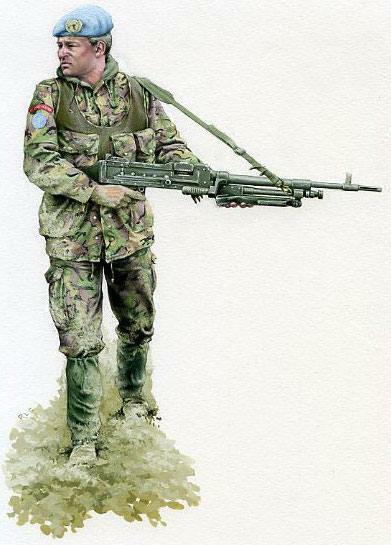 Many of those involved were incorporated into No 1 Commando. 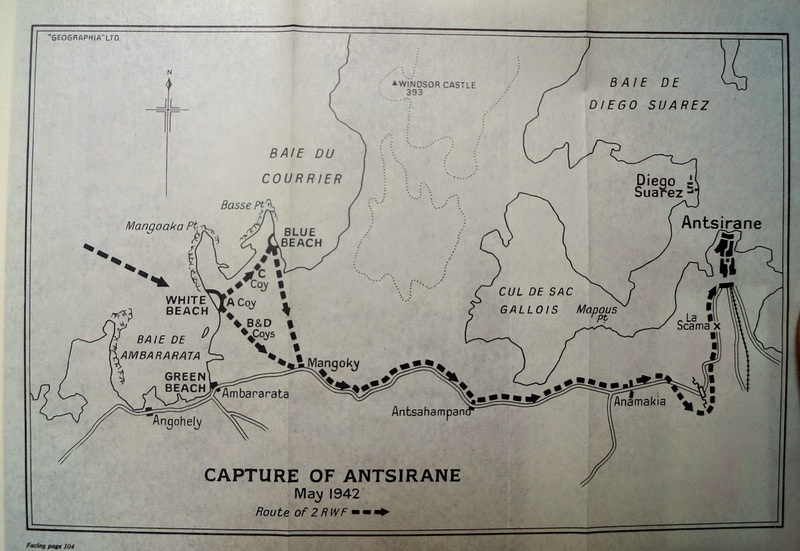 For full details of this expedition see The Life and Campaigns of General Hughie Stockwell: From Norway, Through Burma, to Suez. By Lt Gen Jonathon Riley. 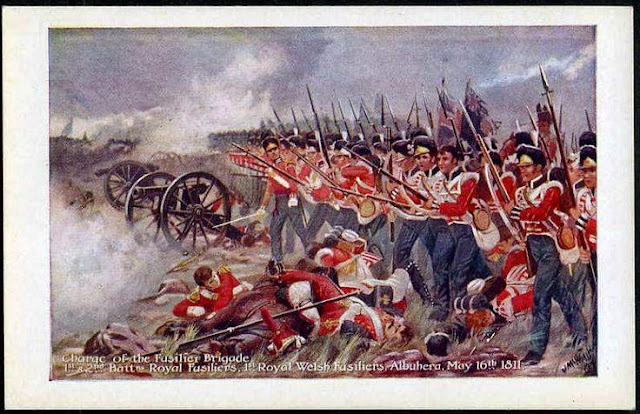 One of Marlborough’s most brilliant battles in which the French lost 13,000 casualties to the 3,500 of the allies. 120 standards and colours, and sixty mortars were captured. 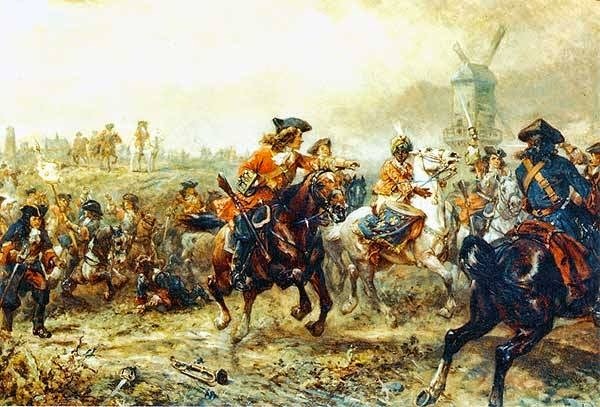 Marlborough informed Queen Anne that ‘all the troops ... have behaved themselves with the greatest bravery and courage.’ RAMILLIES was awarded as a battle honour. Welsh Brigade Depot, Cwrt-y-Gollen opened by HM The Queen, 1963. 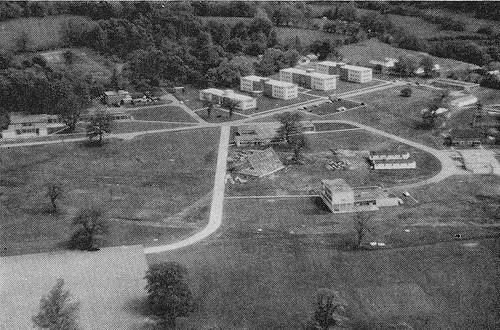 When the Regimental Depot at Wrexham closed in 1960 recruit training for the three Welsh regiments was transferred to Cwrt-y-Gollen Camp, near Crickhowell. 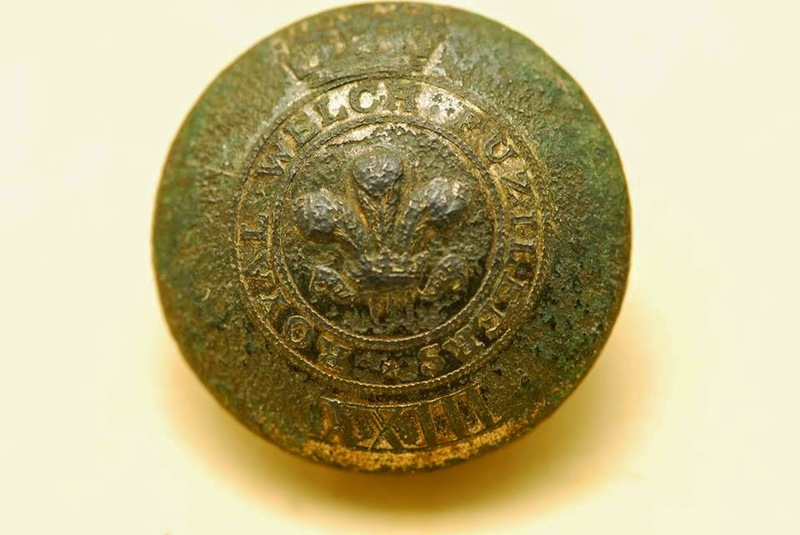 Following a major rebuild HM The Queen opened the new camp in the presence of the Colonels of the three Welsh regiments with representative detachments from each. Adult recruit training was moved to Lichfield in 1982 and Cwrt-y-Gollen was closed in 1986. If anyone has more photos of the Deport we would love to see them. 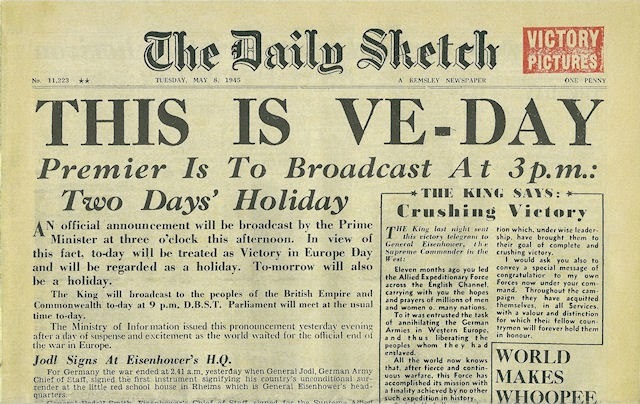 The official date for victory in Europe although the unconditional surrender had been signed by the Germans four days earlier. 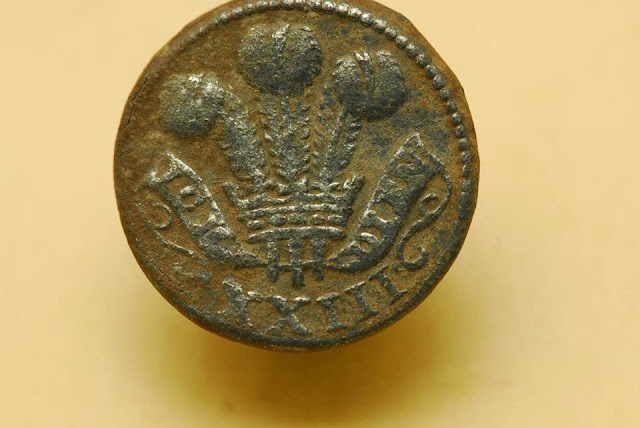 The 4th and 6th Battalions were in the Hamburg area and the 7th in the Netherlands. 6 RWF received the honour of marching in the Victory Parade in Paris. The war against Japan in the Far East would continue until August. The war worldwide cost the lives of 1,201 Royal Welch Fusiliers. VE Day Commemoration service tomorrow at Caernarfon Castle at 3pm. Join us if you can. Free entry for the service. The Reserve Battalion, which was in Canada, was crossing Lake Erie in the steamer Commerce when it was involved in a collision with another vessel. It resulted in the death of the assistant surgeon, three sergeants, two corporals, nineteen privates and eight wives. The officers’ mess silver was also lost with the regimental baggage.